We host workshops to impart training in simple, low-cost sustainable methods of agriculture while emphasizing the important role biodiversity plays in agro-ecology. Some of the methods we demonstrate are: preparation and uses of liquid manures such as panchkavya and jeevamruth, rich nourishing bokashi compost using EM, Biochar, and botanical pest-repellents, etc. 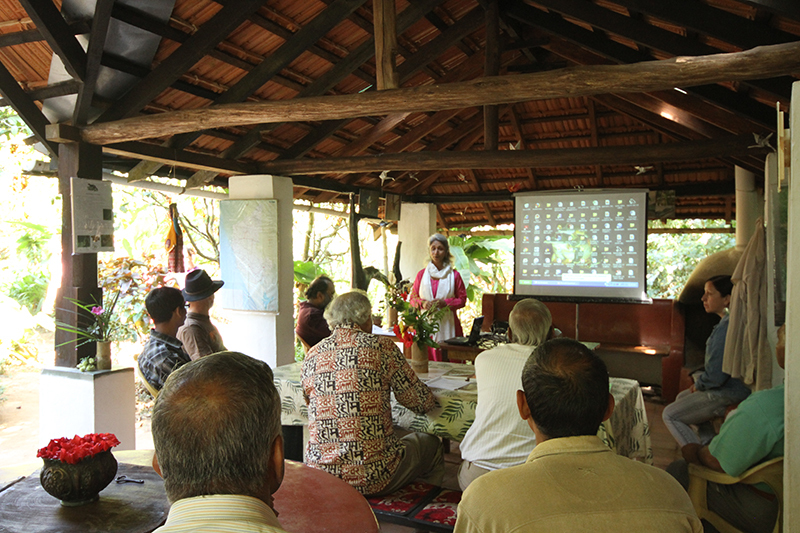 The most recent farmer workshops (in collaboration with Sai Sanctuary) were conducted in May and June 2018 to encourage Kodagu planters to embrace sustainable, organic cultivation. Next year we are planning to conduct some workshops to develop methods to help rehabilitate some of the lands affected by landslides during the deluge of August 2018. 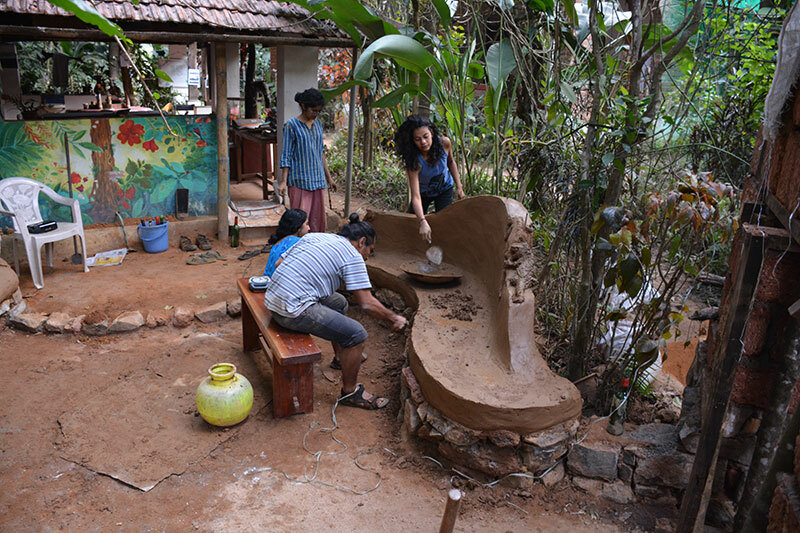 Adobe workshops (partnered by master mud builder Jackson) have become a regular feature at the Retreat. 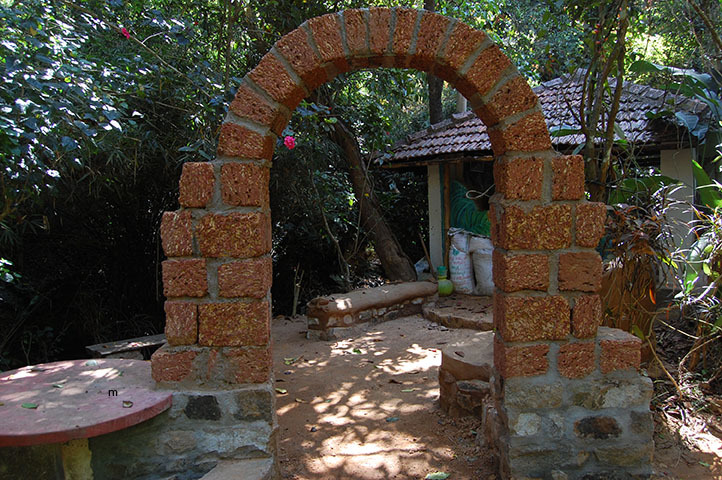 We do everything from making mud bricks to fine design and artwork. We have previously constructed a small bathroom (with CEPT students), a set of beautiful benches and recently, a new Mud Hut.